People in America today take for granted the fact that they can own a Bible. You can find a Bible in most homes, hotel rooms and on any piece of technology you own. Have you ever stopped to think the journey the Word of God took to get into your hands, in a language you can read and understand? The Bible was originally written in Hebrew, Greek and Aramaic and was later translated into Latin. When Christianity spread to Europe, Bibles came along. However, most people couldn’t read, let alone read in a language different than the one they spoke. In England, it was illegal for anyone other than the religious leaders to own a bible and none of them were printed in English anyway. Into history stepped William Tyndale. William Tyndale lived in England in the 1500s. He was well educated in Greek and Hebrew so he could read the Bible. However, he knew most of his countrymen could not and he wanted to translate the Bible into English so anyone could read it for themselves. Because what he was doing was illegal, he escaped to Germany to translate and his English New Testaments were smuggled back into England. He was eventually betrayed by a person he thought was his friend, imprisoned and later died for what he believed. Just a few years after his death, King Henry VIII declared the English Bible legal so even the common people could read the Word of God. 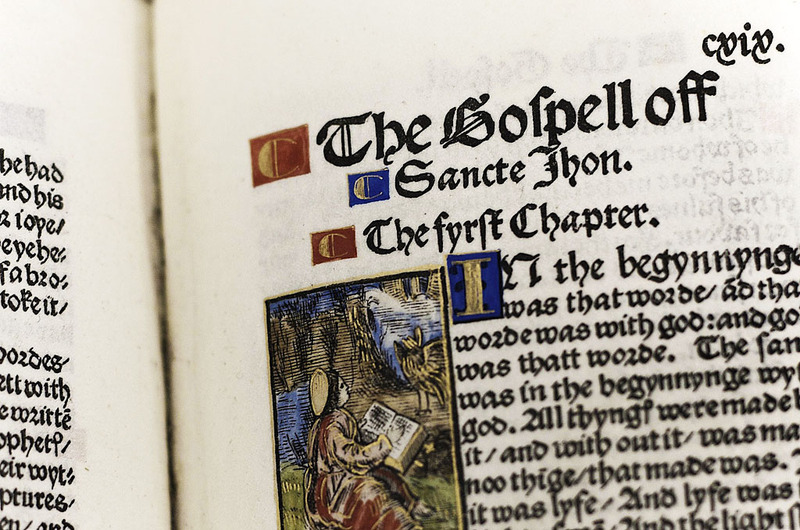 Tyndale’s translation is still the basis for most English translations of the Bible today. Today the kids watched a video on on William Tyndale created by Torchlighters and available on Right Now Media for all Watermark members. You can sign up for free access to Right Now media and rewatch the video with your kids as well as download more of Torchlighter’s media about Tyndale and other heroes of the faith. Visit Christianity Today History for Kids or Kids of Courage with your family for brief bios on Tyndale and questions you can ask your kids about the man who first made it possible for us to read the Bible in English. Just like William Tyndale smuggled English bibles into England, people all over the world today have to smuggle Bibles into different countries. Play a game with your family to show them what it might be like to smuggle a Bible. Have a Bible in one room and label another room or area of your house as home base. Challenge your kids to try and get the Bible from the starting point to home base without being caught. Create a secret code that your family can use to send messages with each other. Write down each letter of the alphabet and create a symbol for each letter. Use your code to send encouraging messages to each other throughout the week. You can even use your code to translate verses of the Bible just like William Tyndale did. Thank God for men like William Tyndale who made it possible for us to read the Bible in our own language. Thank God that we live in a country that lets us study the Bible for ourselves. Ask God to give you a passion for His Word and a willingness to share it with others. Next week we will jump into a month long look at the Godly character trait of INITIATIVE by studying the life of Nehemiah. Take time this week to read the first two chapters of Nehemiah which will introduce you to the man who helped Israel rebuild the wall of Jerusalem. The post Hero Sunday: William Tyndale & His Passion for God’s Word appeared first on Watermark Community Church Blog.